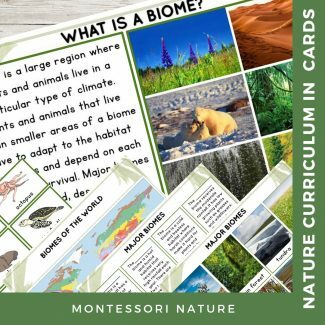 Major Biome of the World is a set of 3-part cards, information posters, and worksheets for students to learn about the major biomes of the world. It includes a map, 3-part card activities, descriptions, follow-up coloring, handwriting and sorting activities. The printable features photographic images and clipart (as a part of student worksheets). information poster What is a biome? student printouts with clipart for coloring, print, cursive tracing fonts and blank for practicing handwriting.